WageWinner is operated by Wage Capital Ventures plc with its headquarters in Italy. With branch operations in Rome, Madrid, New York, South Africa, Singapore, Hong Kong and Macau, we are positioned to take the Asian Handicaps soccer betting market by storm. Working 24/7 to collecting soccer or football data, statistical analysis, motivational and psychological factors from the players, suspensions, injuries, players financial, betting rate and odds from bookmakers and bookies, information from insider, our tipsters always keep an eye to bookmaker's line which can be influenced by several large wagers made on a soccer or football match. We consider soccer as a business and understand that information is important for all members, not only because soccer or football is widely considered to be the most popular sport in the world, but also every big soccer events always involved bookmakers and bookies. 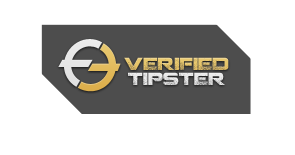 Our tipsters use every information sources to increase the winning prediction and that makes us the best soccer picks service you'll ever find on the Internet. We only provide the highest quality soccer picks to maintain a high winning percentage consistently.